Resting on an escarpment above the Falls Road sat Beechmount House, a listed building constructed in the mid 18th century. To this was added a major extension in the 1930's to create an old peoples hospice. 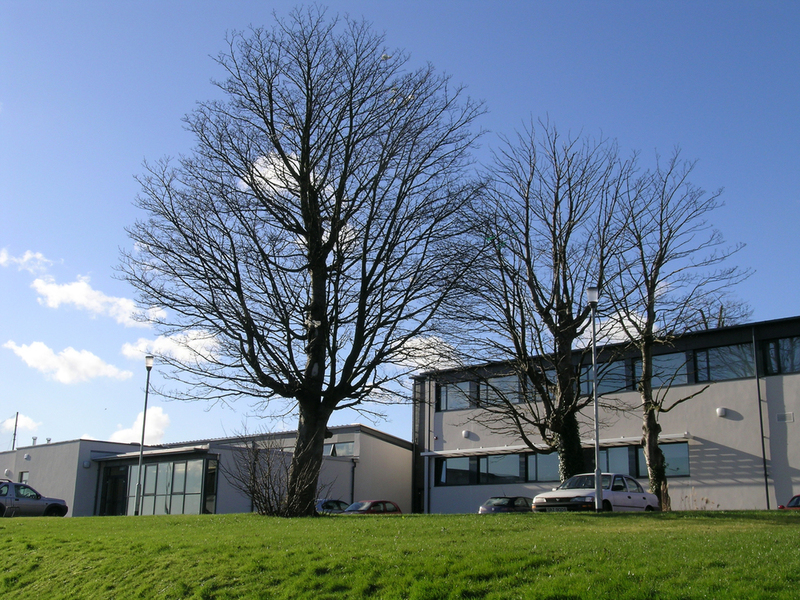 Coláiste Feirste moved into the buildings in 1999 and this project was for their major refurbishment and extension as the second phase of a multiple phase development which includes Beechmount Leisure Centre. 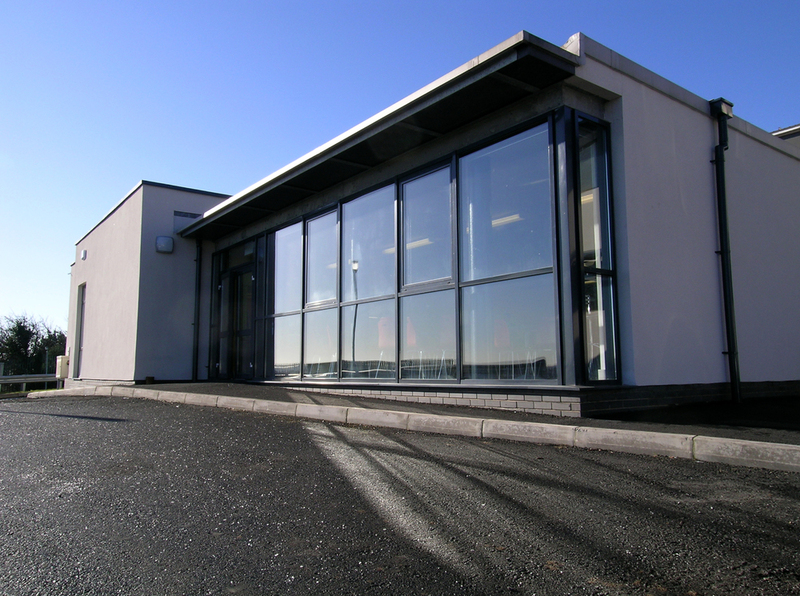 The extensions are strategically placed to the front of the site to command views across the Lagan Valley while leaving the rear of the site free for use as a sports pitch. The extension elevationally forms a horizontal element terminating in the listed building which becomes the administrative block with the main entrance formed in the slot space between. The sloping site level differences are resolved by placing the main hall and administrative and reception at the lower entrance level while rising to the higher teaching spaces behind. 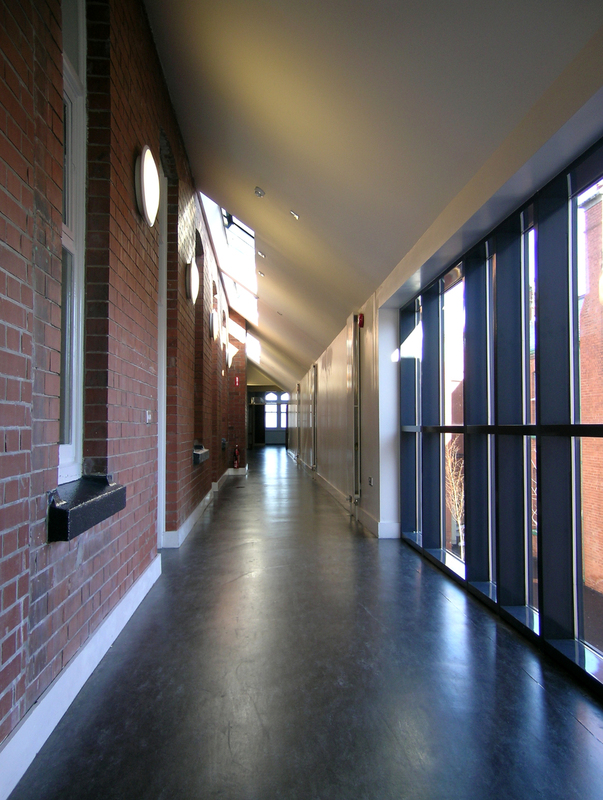 A long new corridor forms the main organisational element in the scheme supplemented by the new main staircase which forms a focal point to compliment the main hub staircases in each of the periods of development.